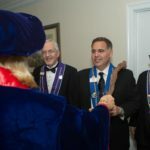 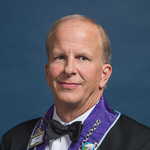 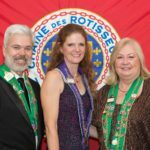 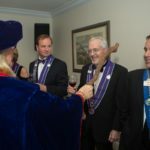 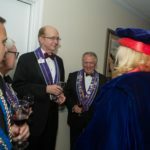 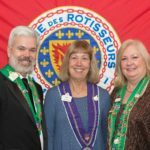 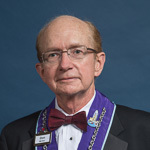 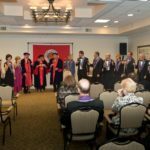 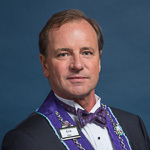 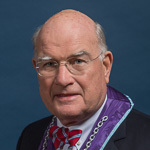 On Sunday evening January 28th, Nord Est de la Floride kicked off the new year with a combined Induction Ceremony for new members of La Chaîne and Mondiale returning to The Lodge and Club at Ponte Vedra overlooking the Atlantic Ocean. 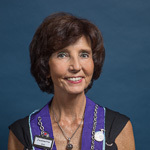 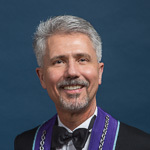 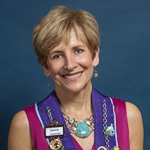 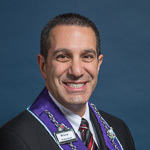 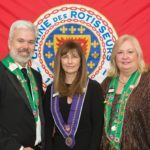 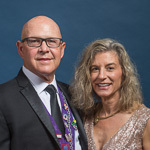 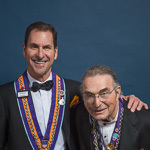 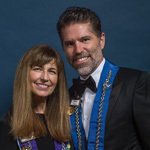 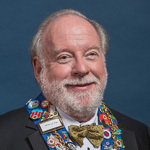 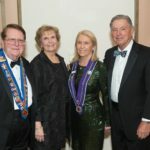 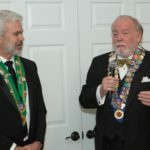 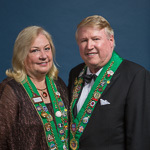 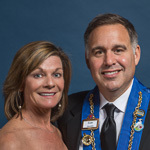 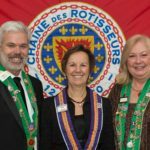 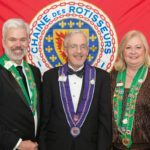 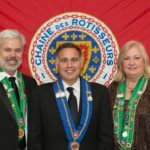 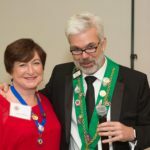 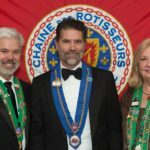 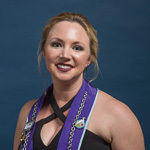 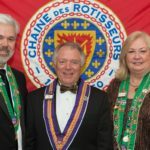 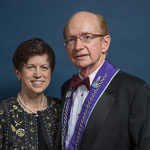 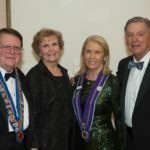 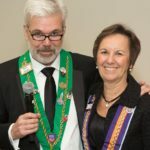 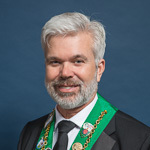 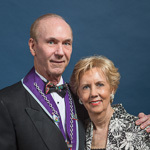 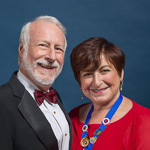 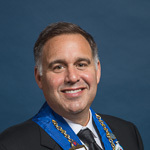 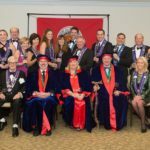 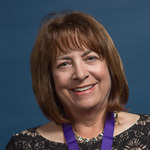 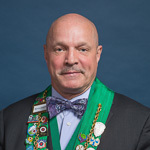 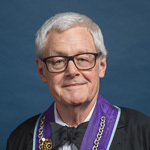 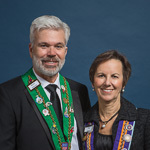 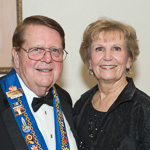 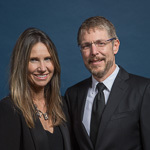 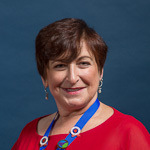 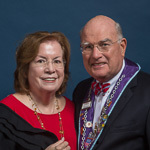 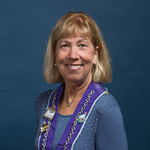 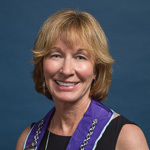 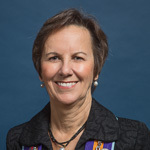 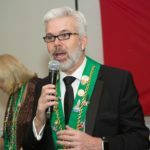 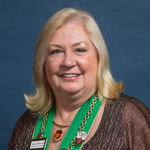 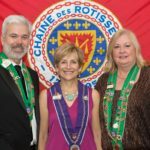 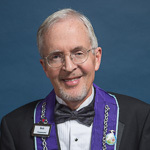 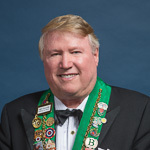 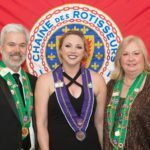 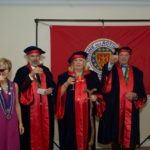 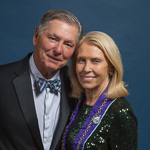 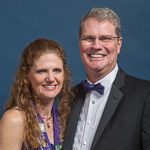 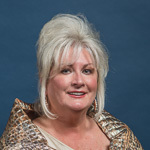 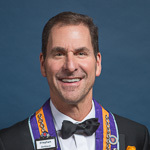 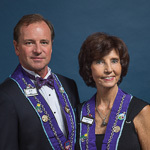 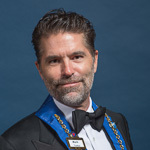 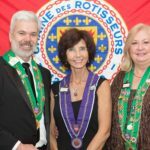 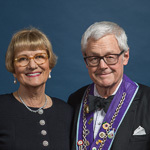 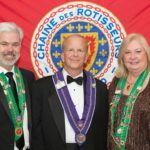 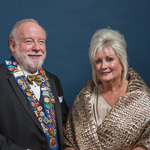 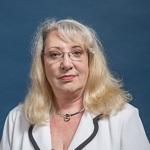 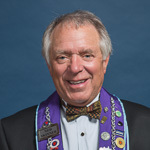 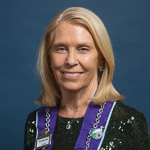 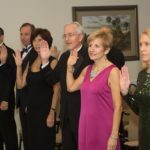 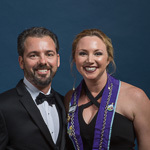 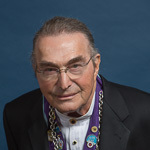 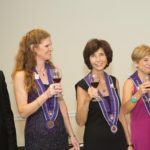 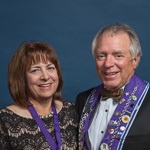 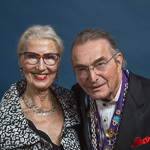 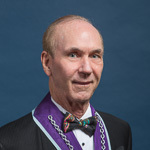 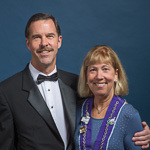 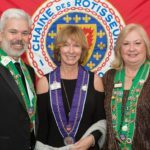 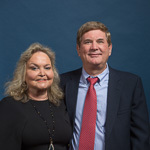 Bailli Provincial Southeast Susan Vareschi and Nord Est Bailli Dave Szkutak presided over the black-tie event and inducted 14 new Chaine members (including one Professionnel du Vin) and 18 new Mondiale members into the Nord Est Bailli. 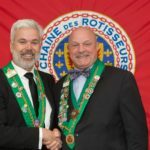 Additionally, two officers were elevated, the rank for two members was changed to Professionnel du vin and two Commandeur pins were presented. 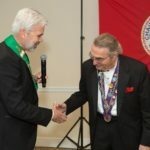 Bailli Dave Szkutak presented Bailli Honoraire and current Vice Echanson, Steven Jones with the Bronze Star of Excellence. 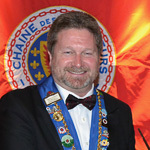 He also presented several Share the Chaine pins. 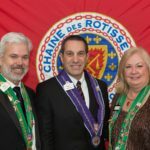 Dave distributed the new Bailliage pin, designed by new Inductee, Gina Torkos who also designed the Grande Chapitre pin for Chicago. 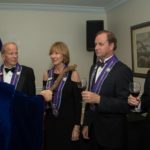 The group enjoyed outstanding food and wine planned by Steven Jones and created by the Lodge Chef, Chris Pickren. 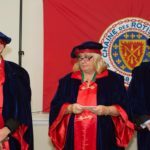 We enjoyed Oyster Moscow, Pickled Mountain Rose Apple, Confit Leg of Rabbit and a wonderful Bollinger Langlois, Cremant de Loire, before the Induction. 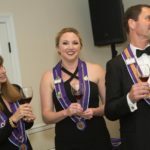 A four course dinner in the dining room followed of French “Uni” paired with Domaine Champalau Vouvray ’15, Mile Fed Poulet Rouge paired with Patz & Hall Chardonnay ’15, Eye of Ribeye paired with Moone-Tsai Cabernet Sauvignon ’14. 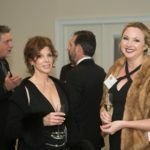 The final course was Cow, Sheep and Goat Cheeses with Mignardises of chocolate. 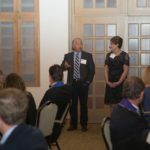 We were fortunate to have the Proprietors of Moone-Tsai, Mr. & Mrs. Larry Tsai, attend the dinner and provide an overview of their winery and the Cabernet enjoyed this evening. 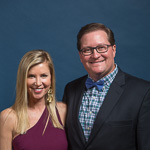 We were also fortunate to have Bill Vareschi, Bailli de Bonita in attendance for the event. 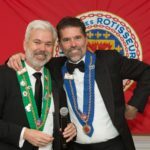 At the end of the evening, Bailli Dave Szkutak acknowledged and thanked Chef Chris Pickren and his team and presented him with a commemorative Chaine plate for the wonderful food prepared. 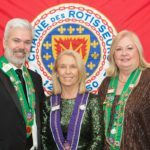 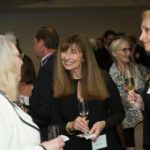 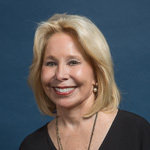 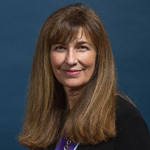 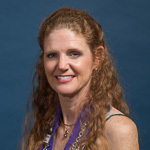 This event continues to build on the energy and camaraderie of Chaine in Northeast Florida and there is a lot of excitement around upcoming events.